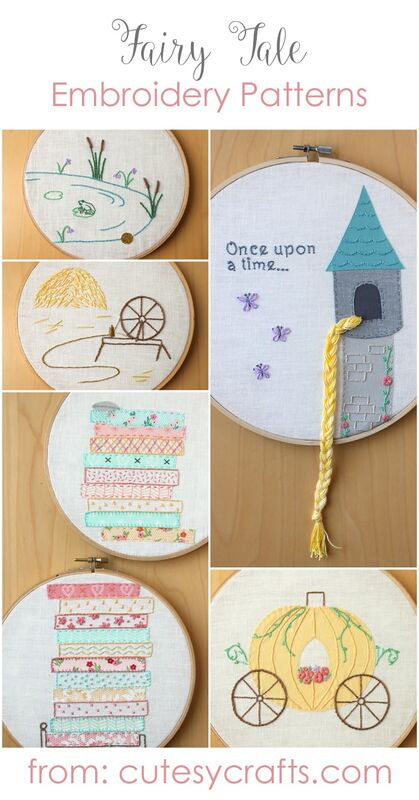 I hope you have enjoyed my fairy tale hand embroidery series as much as I have enjoyed creating it. It’s so great to finally see this idea of mine come to life, and I love how all of the hoops turned out! I thought I’d wrap up with a quick post and links to all of the hoops in the series. If you make any of my projects, I’d love to see how they turn out! Post a photo and tag me on social media. There are six hoops in all, and I intended for all of them to be hung together in a group like this. Wouldn’t they be adorable hanging in a nursery or little girl’s room?! Here are the links to each hoop. Once you have subscribed to my blog, you should be able to access all of the free patterns. I backed each of the hoops with some felt and a little heart. To see how I back my hoops, go to my YouTube tutorial here. My girls already have a set of special hoops in there room, so I will be offering this one for sale in my etsy shop soon. I hate making the same thing over and over again, so this will more than likely be the only set that I make. Head over to my shop here if you are interested. Love your creativity and generosity! Thank you for sharing! 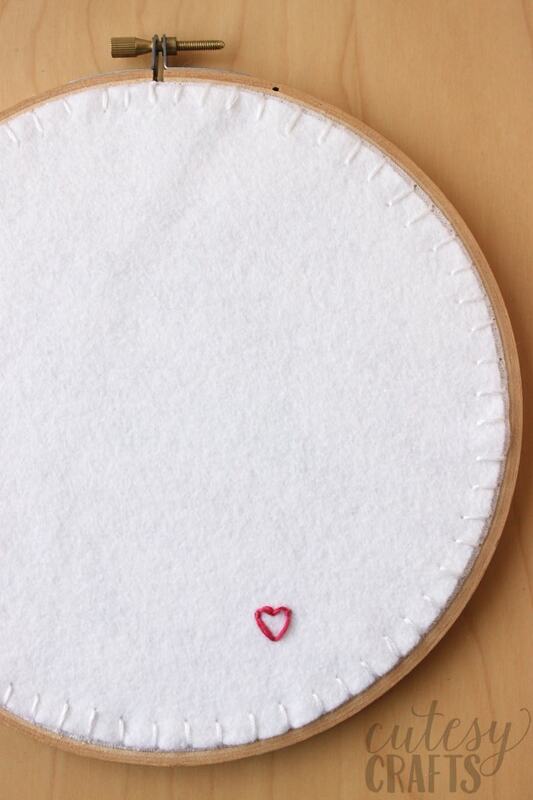 I just watched your youtube video how to back an embroidery hoop. So helpful! I absolutely love your designs! 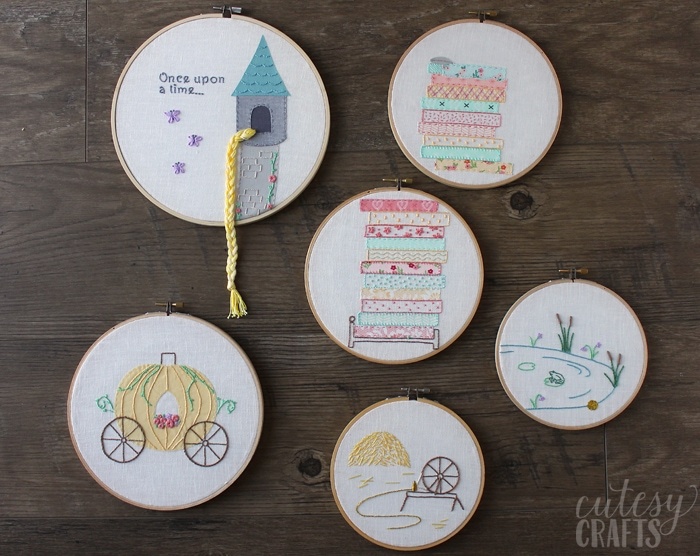 My niece needs me to make her this set of fairy tale awesomeness! Thank you! Yes, make her a set!